Enter the promotion code (10offciti) upon checkout at www.delifrance.com.sg/order-online to enjoy the offer. - The Promotion period is from 1 January 2019 – 31 December 2019 (both dates inclusive). - Payment must be charged to a Citibank Debit/Credit card in a single receipt. - Please enter the promotion code (10offciti) upon checkout at https://www.delifrance.com.sg/order-online to enjoy the offer. - Discount is applicable for purchases from the following categories - Sweet Treats, Savoury Delights, Mini Sandwiches and Delightful Combinations. - Not applicable for catering bundles, any vouchers, events and gifting category items. - Not applicable on service charges and delivery charges. Delivery fees and other service fees may apply. - Terms & conditions for online orders apply. Refer to www.delifrance.com.sg for terms & conditions specific to online orders. - Citibank shall not be responsible for the quality, merchantability or the fitness for any purpose or any other aspect of the products and/or services provided by third parties and Citibank shall not at any time be responsible or held liable for any loss, injury, damage or harm suffered by or in connection with the products and/or services provided by third parties. 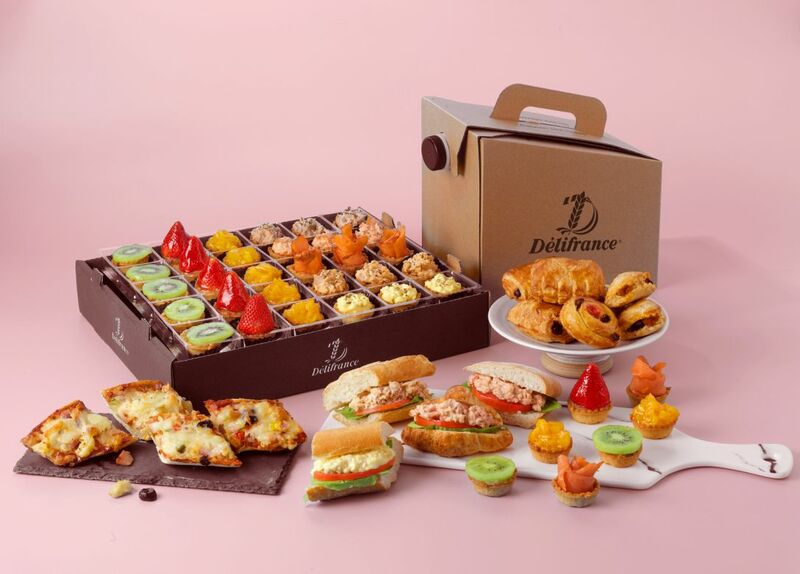 All disputes about quality or performance of the product and/or services shall be resolved directly with Delifrance Singapore. - Citibank and Delifrance Singapore reserve the right, at their reasonable discretion, to vary, add to or delete the Promotion terms and/or terminate the Promotion at any time. - "Citibank" refers to Citibank Singapore Limited and "Delifrance Singapore" refers to Delifrance Singapore Pte Ltd.